At the very beginning of this summer in 2018, the 10th Mockplus & UXPA UXD Award is about to come. 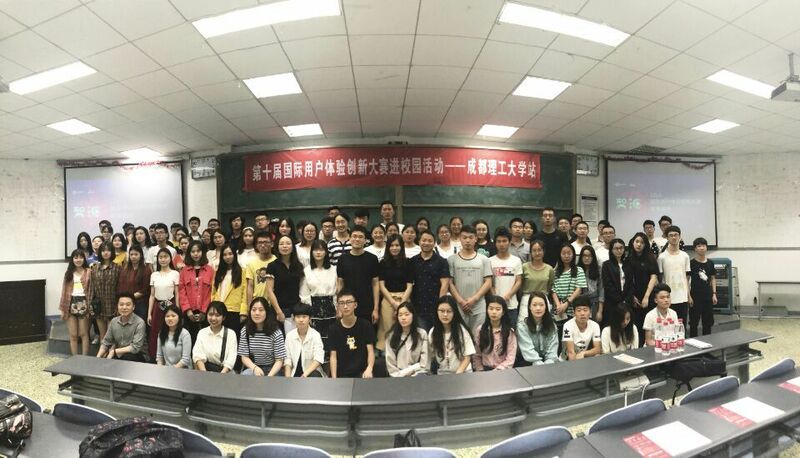 On May 5th, a User Experience Design Experience-Sharing Event gathered numerous guests to Chengdu University of Technology to preach the 10th Mockplus & UXPA UXD Award in the Southwest Division. Many design industry experts were invited as guests, including Ms. Wang Ting, the senior user experience designer of Huawei Technologies Co., Ltd. and also the member of UXPA Southwest Branch, Wang Junfeng, director and professor of the Department of Industrial Design of Southwest University of Science and Technology, and also the vice president of UXPA Southwest Branch, and the third is Mr. Yang Sibai, the Technical Director of Mockplus of Jondge Software LLC. More than 300 students came to hear them speak and ask questions. Not a single seat was left empty. Peng Yue, the teacher of the Chengdu University of Technology, was being the host and made a speech at the opening ceremony. After the opening speech, Ms. Wang Ting introduced the user experience design function in the enterprise, which explained in details how different designers can play a role in the enterprise and how they build products together through the design process. In the end, she introduced the current development of the user experience industry. Her insightful sharing has won the high praise of the students. Then, Mr. Yang Sibai, the Technical Director of Mockplus of Jondge Software LLC., shared his design ideas. He encouraged the students to get their hands on prototyping design, which can verify their ideas faster and easier. Moreover, he introduced the best solution to create prototypes in details with his unique insights. This brings big inspirations to the students. 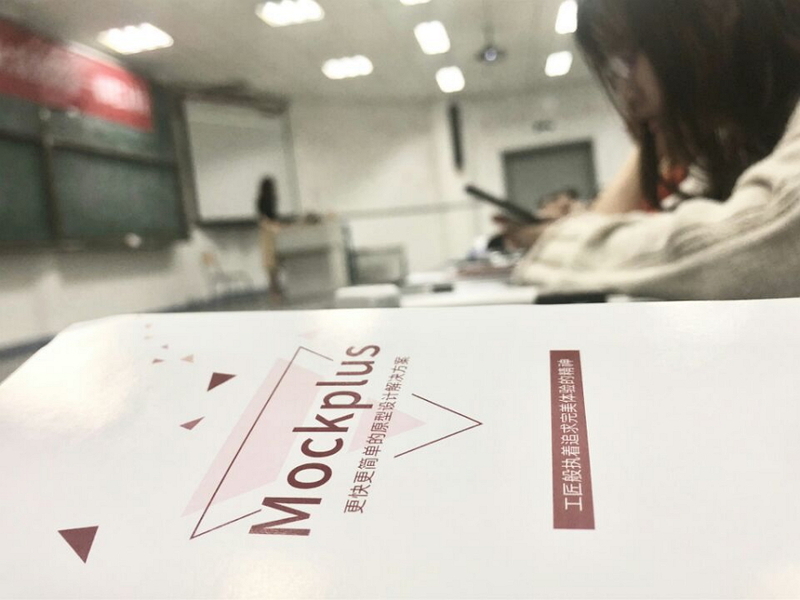 Meanwhile, Mockplus, a faster and easier prototyping tool, was introduced to the students and Mr. Yang Sibai demonstrated how it works. With its clean interface, excellent functions, smooth operations, this clean and smart tool became so popular among the students. The last one is Mr. Wang Junfeng. He introduced the user experience design of the era of information physics. He made his speech from a specific point of the products that we used to drink water of all time, which shows how the technology changes through the age. His speech left a deep impression on the students. During the interactive session, the students asked questions and the guests answered them all patiently. They all encouraged the students to broaden their knowledge, do more practice and find their own path to follow. More importantly, to learn to seize the opportunities. And the upcoming 10th Mockplus & UXPA UXD Award is indeed a great opportunity. It is reported that this series of activities will also be carried on in Sichuan Normal University, Southwest University of Science and Technology, Chongqing University and other universities, etc.